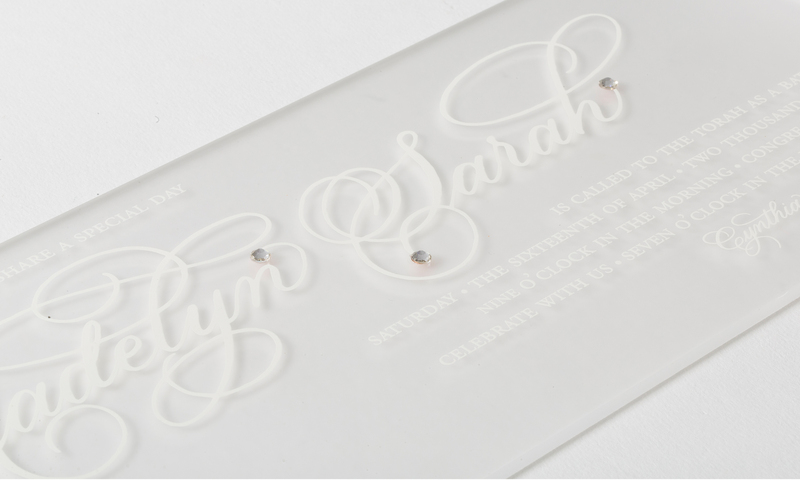 This sleek, frosted acrylic bat mitzvah invitation has a hand calligraphy name to give it a classic touch. 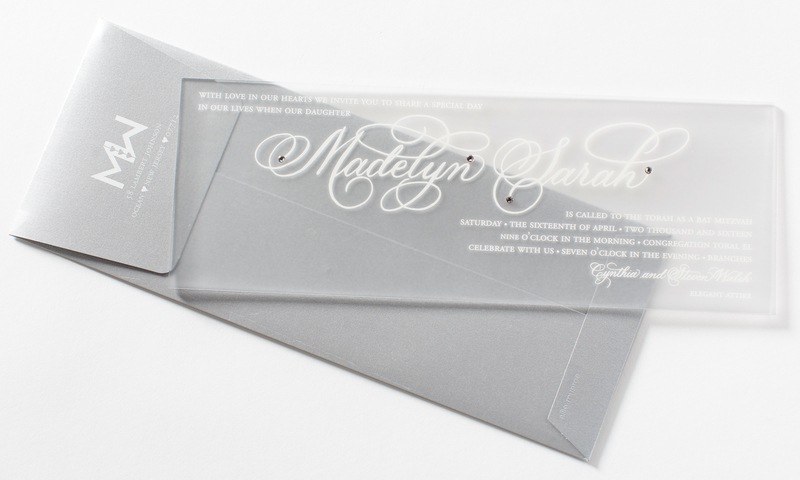 Diamond colored crystals and a shimmer silver outer envelopes add glamour. All colors, envelopes and typography can the customized to match your style.